Sagip Kapamilya officially opened a bakery inside Capas High School that is under the K to 12 program. Dubbed as Nutri Pan de Kapamilya, the school bakery has three purposes: to address malnutrition, to assist in providing practicum for senior high school students, and to provide livelihood for the community. Capas High School in Dolores, Capas, Tarlac has a population of 4,960 students. According to Dr. Aileen Mangahas, the Medical Officer III of Tarlac’s Department of Education Nutrional Unit, it is one of the municipality’s secondary school that has a high rate of wasted and severely wasted students, or students who are underweight. In partnership with the Nutrition Center of the Philippines and the Department of Education-Tarlac, the school bakery uses wheat flour fortified with Vitamin A and Iron. “Meron kasi tayong food fortification law which was passed in the year 2000,” Dr. Mary Christine Castro, Executive Director of Nutrition Center of the Philippines explained. 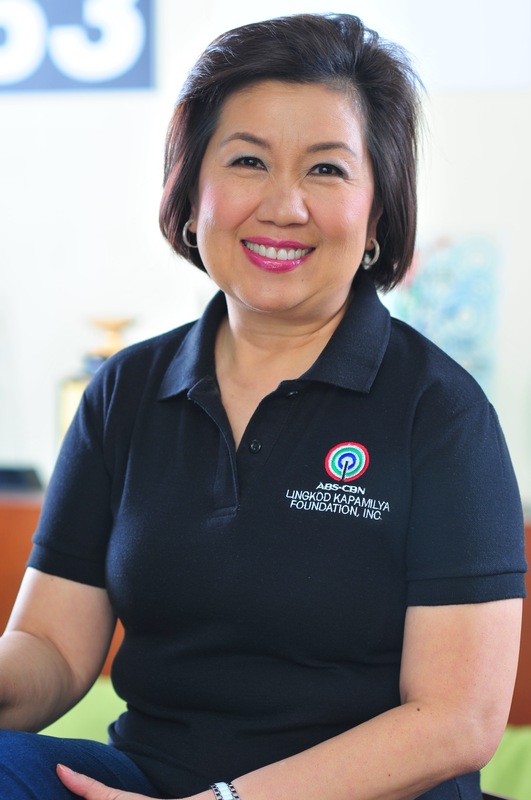 “Before that law was passed, the Nutrition Council of the Philippines conducted studies that show fortifying wheat flour with Vitamin A and Iron can address the micronutrient deficiencies that are prevalent in our country,” she added. The school also hired a baker to help in the operations of the bakery and teach the students. “Nakakatulong din sa pamilya ko kasi sinuswelduhan din ako dito sa school,” enthused Roberto Tolentino, the school baker who also works as a fish vendor in the local market. He said the salary he gets from the bakery adds up to his income for his family. Aside from giving the equipment such as the baking oven and gas tank, Sagip Kapamilya also provided a capital of 20,000.00 pesos. On the other hand, the Nutrition Center of the Philippines provided a two-day baking training to kick the project off. The school bakery also augments Capas High School’s feeding programs and funds. To date, there are already more than 10 Nutri Pan de Kapamilya Bakeries from Luzon to Mindanao. Aside from rehabilitation and risk reduction projects such as relief operations and school rebuilding during calamities, Sagip Kapamilya of ABS-CBN Lingkod Kapamilya Foundation has long been an advocate of the health of children by conducting school feeding programs around the country through its Sagip Kalusugan Project.